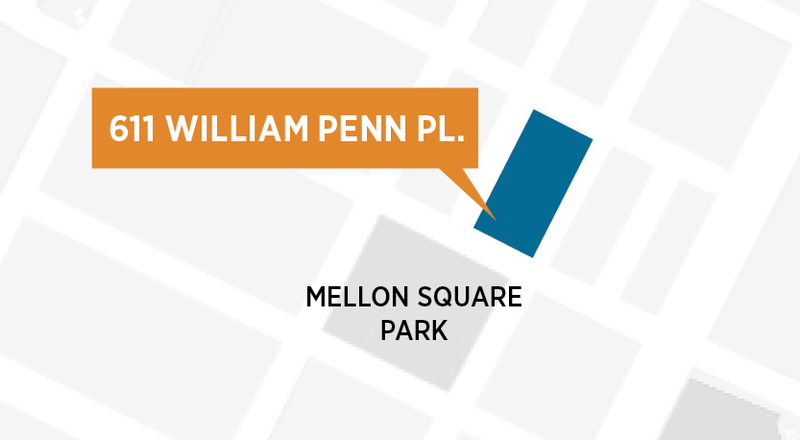 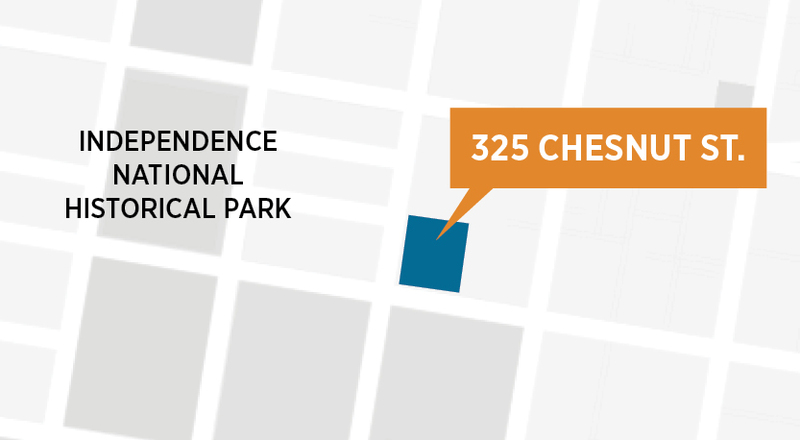 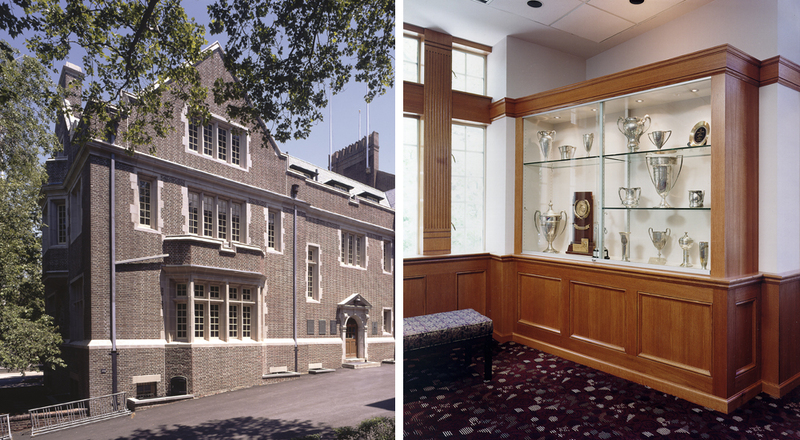 This historic renovation project involved one of the oldest collegiate Gothic Revival buildings at the University of Pennsylvania. 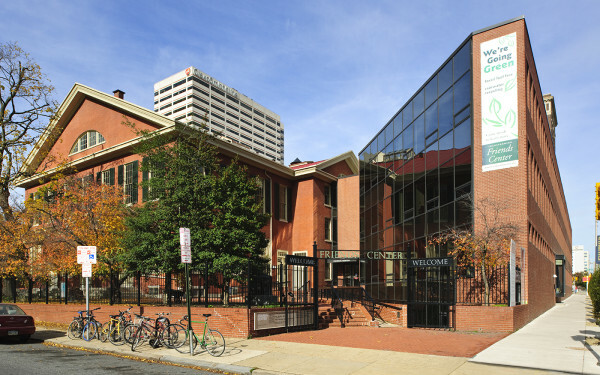 Originally built in 1907, the White Training House sits adjacent to Franklin Field and houses offices, dining and meeting rooms for many of the University’s sports teams, coaches, and staff. 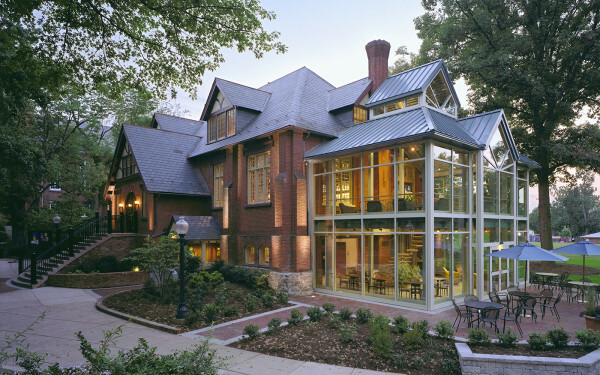 The renovation included exterior brick masonry and terra cotta trim, copper roofing, and structural systems improvements. 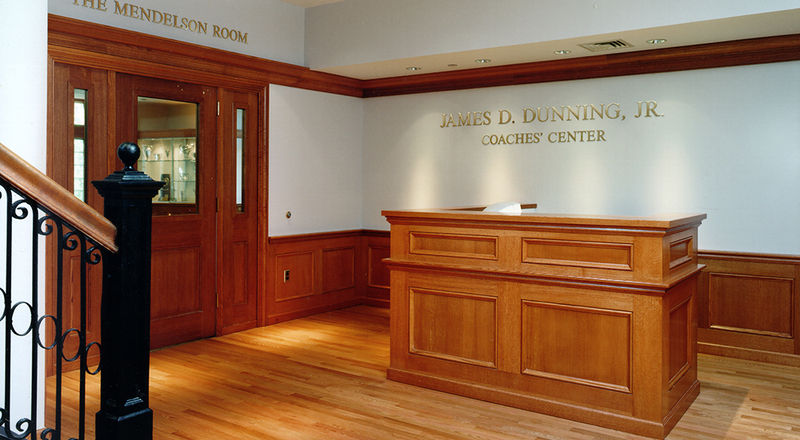 Located within the J. William White Training House, the Dunning Coaching Center provides strategic support for Penn’s various sports and athletic programs, welcoming students, alumni, and visitors to its modern conference/reception center, and providing a technologically-advanced working environment for the University’s coaches and support staff. 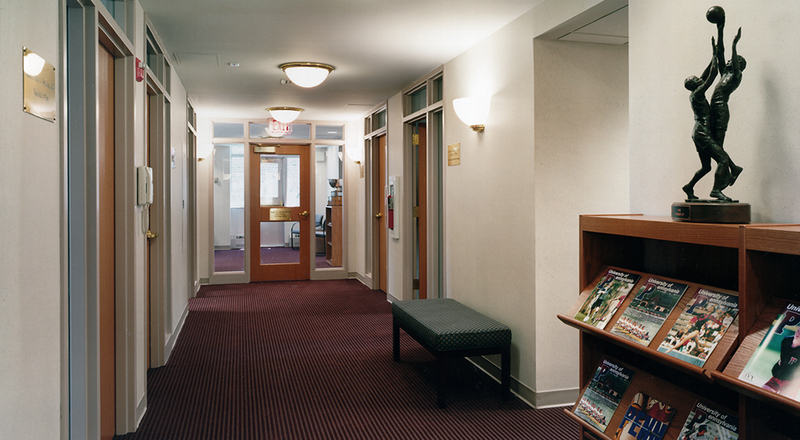 The high-tech coaching complex and multi-purpose conference and recruiting center features video viewing capabilities, a trophy and exhibition room, dining hall, and lounges.